Leonard A. Klima, 93, Burlington, Vt., and Buffalo, N.Y., peacefully passed away on November 22, 2017. Leonard was born in Buffalo to Stanley and Josephine Klima on June 11, 1924. He leaves behind his loving wife of 68 years, Adeline Klima; five children: Paul Klima, Sandy Klima and Rob Dansker, Mark and Sharon Klima, Judy Klima and Anna Thelemarck, and Tim Klima; seven grandchildren: Jessica and Scott Sattler, Kaitlyn and Dave Mariano, Jamie and AJ Aponas, Morgan and Mitchell Klima, and Anders and Jakob Leonard Thelemarck; and two great-granddaughters: Adalyn Sattler and Zoe Aponas. Leonard was a black walnut enthusiast, random tree planter, plant whisperer, lover of all things family, rule breaker, joyful trickster, mighty electrician, storyteller extraordinaire, and devoted father and grandfather. He grew up during the Depression in a Polish American family and attended Polish Parochial school, where he had a bilingual education learning both Polish and English. At 16, he started working in a Buffalo Steel Mill to support his family. 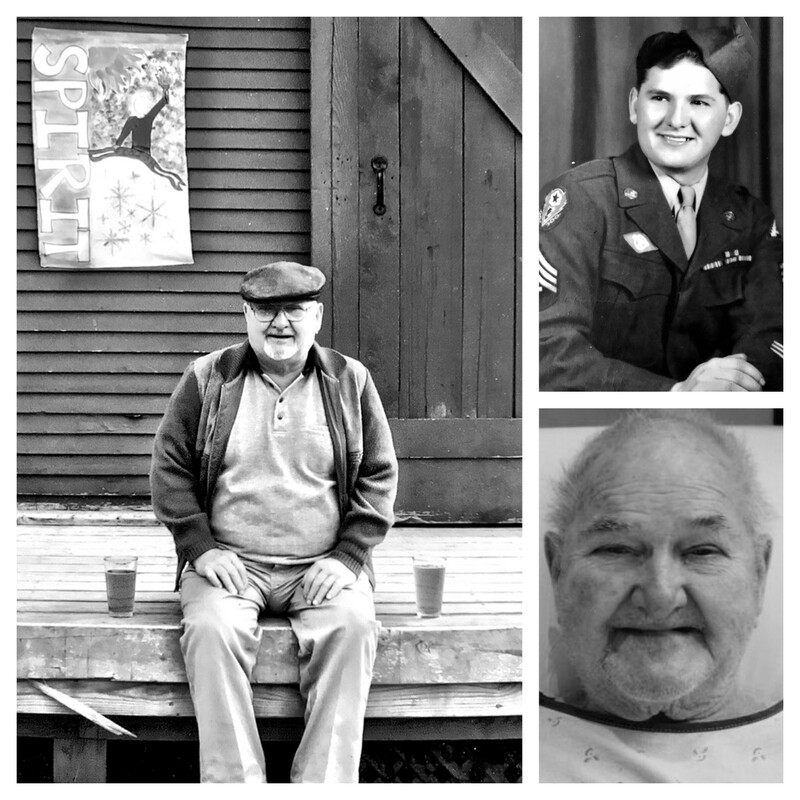 He was a veteran of World War II and served in the Army Transportation Corps. After the army, he finished college and went on to open his own business, the Klima Electric Corporation, which he ran for more than 50 years. He handed the family business down to his sons, Mark and Tim Klima. He proudly built his own home, as well as a family cabin in the woods which he shared with his brother and sister and their families. He was a selfless, loyal and generous family man, forever lending a hand whenever needed. It is our hope that we can continue his fine traditions of planting trees in random places, skinning copper for money, counting nearly everything in life, sharing garden vegetables and delivering fresh baked bread to family. Perhaps we’ll strive to avoid his less admirable qualities like licking our dinner plates or taking unpaid sausages from supermarkets. We can only imagine he is having a fine conversation on the other side about the health benefits of the mighty black walnut. If you would like to do something in his honor, find yourself a few dozen black walnuts, still bright in their green husks, and randomly plant them along the side of your favorite road. Repeat. Or better yet, send a donation in his honor to OneTreePlanted, a 501(c)(3) nonprofit devoted to planting trees all over the world: 145 Pine Haven Shores Road, Shelburne, VT 05482. The family of Leonard Klima wishes to extend our sincere thanks to Griswold Home Care, especially to Lauren, Sue, Nancy and Abbey. We could not have navigated these last few months without you. There will be a service celebrating Leonard's life on Saturday, December 2, at 11 a.m. at Christ the King Church in Burlington.